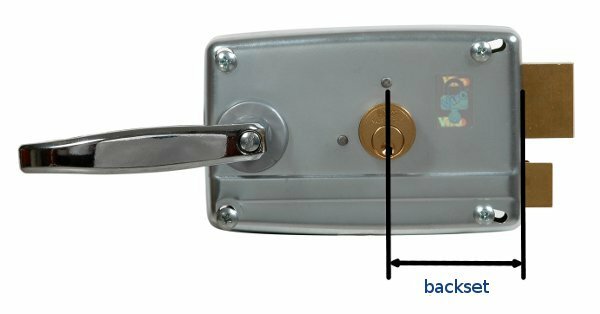 In a rim door lock the backset is the distance between the centre of the cylinder and the plate from which the latch protrudes, and it is one of the basic measurements which determines the possibility of installing a lock on a specific access. The backset is the distance between the centre of the cylinder and the plate from which latch protrudes. If the lock which is being purchased needs to replace one which is already installed, the new lock must have the same backset as the old one. On the other hand, if it is a first time installation, the backset must correspond to the distance between the centre of the hole on the door or gate in which the external cylinder will pass and the edge of the door/gate on which the lock will be fitted from the side of the latch/dead-bolt. 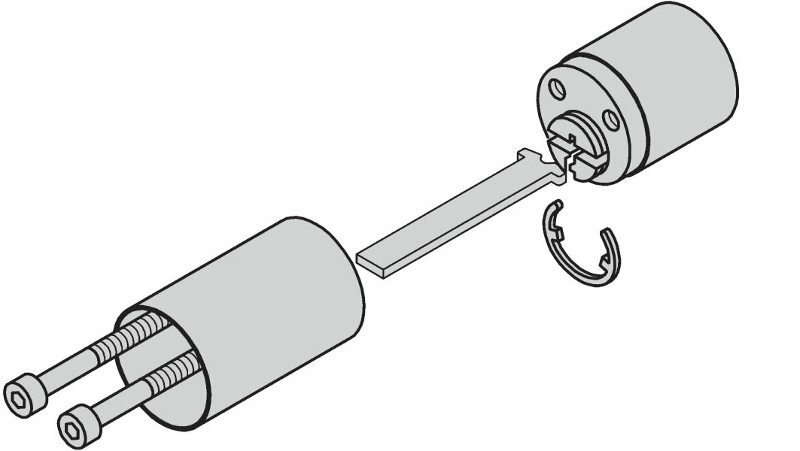 The lock is fitted to the inside of the door; if it is necessary to also open it from the outside, a cylinder must also be applied from that side. 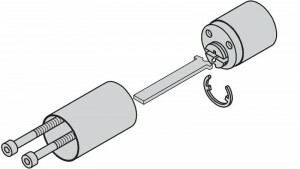 Various models of external cylinders are available (fixed or loose with respect to the lock) with different diameters and lengths, depending on the type and thickness of the door or gate on which they are to be mounted. The diameter and length of the cylinder are therefore the other measurements to be considered when buying a new lock. Whilst fixed cylinders have a non-adjustable length, the loose ones can be extended by using appropriate kits. Extension kit for external cylinders. However, from a security point of view, a difference is made by using armoured cylinders, where the solid brass body is protected by case-hardened, tempered steel and the plug is protected by a plate to protect against burglary and drilling. 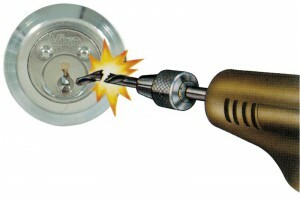 Armoured exterior cylinder for rim door locks. Rim door locks differ depending on what side of the door they are to be installed. Looking at the door from the side opposite to that on which the lock is installed, if the hinges are on the right the door is conventionally defined as a right-hand door, and it will be necessary to install a right-hand type lock, on the contrary, if the hinges are on the left, the door is a left-hand door and the lock must be a left-hand version. Doors also differ according to the direction in which they open: pulling or pushing, which requires a different orientation of the latch profile. 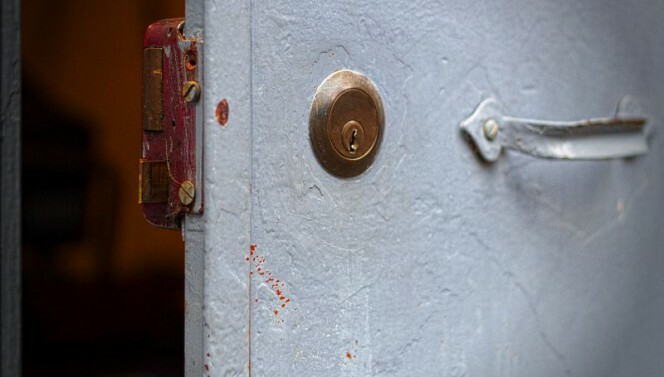 The best types of locks have the latch reversible with a simple operation, so that they can be easily adapted for doors which open either by pulling or pushing. Knowing the backset, diameter and length of the cylinder and the direction of door opening allows a lock to be purchased which is physically compatible with the door on which it is to be installed, but that is not enough. The lock must be able to ensure a good level of security and durability. 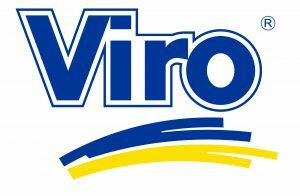 For this reason it is also necessary to assess its quality. This entry was posted in Locks and Cylinders and tagged technology, tips on 12 September 2013 by Mara Rossi.